We had a very nice tour with Ursula in Schönbrunn and Hofburg palaces. Ursula tailormade the tour according to our wishes. We wanted to focus on history and we really received a marvellous lecture on Austrian history! Ursula is very nice, fun and easygoing person. TOUR GUIDE RESPONSE: Dear Paulina! Thank you for your great review, I am glad you liked our tour and I very much hope that you had also enjoyed the rest of the weekend. Greetings to all of you! Ursula was a great guide for me and really made me comfortable walking around the city. She was very knowledgeable, and we had a great time together. Ursula was a great guide, took me to my places of interest (including great coffee houses), and went out of her way to make the tour very pleasant and accommodating. TOUR GUIDE RESPONSE: Hi Jerry! Thanks for your nice review, I am glad you had a great time in Vienna! I wish you all the best for the new year! Ursula was a delightful and well spoken guide. She will definitely be my guide on my next trip back to Vienna. Highly recommend. TOUR GUIDE RESPONSE: Thank you Sean for the great review! I am looking forward to see you here again! Very best wishes! TOUR GUIDE RESPONSE: Thank you Victoria! Greetings From Vienna! We booked this at the last minute and were so pleased. Ursula is a great guide- she has a wealth of knowledge of history that amazed us. This was the best way to get an overview of Vienna. Highly recommend her for any tours! TOUR GUIDE RESPONSE: Thank you Craig so much for this great feedback! Greetings from Vienna! We spent the day with Ursula in Vienna and she simply outstanding. She is extremely knowledgeable, very professional, flexible to our requested changes to the itinerary and fun. I would highly recommend Ursula if you want to see Vienna and learn about the history and culture. She was great! TOUR GUIDE RESPONSE: Dear Clyde! Thank you so much for your great review about the Vienna tour! I send you my best greetings from Vienna and I wish you Merry Christmas! Ursula was a replacement for another guide with an advanced pregnancy, so you may not find the Belvedere Palace tour among her usual offerings, but she had prepared a custom 3-hour tour for our group of four persons. We spent most of that time in the Upper Palace art museum to view the paintings of Gustave Klimt and Egon Schiele, and she had many insightful comments about the artists and particular artworks. Ursula has an engaging and friendly personality, and we were glad to have her as our guide. TOUR GUIDE RESPONSE: Thank you Alan for your nice review, I really appreciate it. I am glad, that you have enjoyed the tour. My best wishes to all of you! Ursula was a replacement for another guide with an advanced pregnancy, so you may not find the Kunsthistorisches Museum (KHM) tour among her usual offerings, but she had prepared a custom KHM tour for our group of four persons. When visiting for the first time, I like to have a highlights tour and an introduction to various parts of the museums, so I can return to areas of interest later. Ursula did a fine job in this regard, as well as having an engaging and friendly personality. Ursula was a great guide for our tour of old town Vienna. She was most knowledgeable and made the time go by so fast. It was obvious she knew everything about the city and gave us a great appreciation for Vienna. Thank you Ursula! TOUR GUIDE RESPONSE: Dear Lori! Thank you so much for your great review. I am glad you enjoyed the tour, for me was also a pleasure to meeting you. My really best wishes for you! Ursula provided a wonderful tour of Vienna. We opted for a car & driver as my grandma cannot do a lot of walking and we wanted her to be able to see as much as possible. Ursula and the driver were extremely accommodating and considerate. Ursula has an excellent knowledge of Viennese history, art & architecture. Spending the extra money for a private tour is well worth it. We were able to see so many more things than doing it on our own or in a group setting. We highly recommend Ursula! Ursala was awesome. We learned so much from her and had a great experience. She is knowledgeable and told us so many stories. We were a group of 6 and we had a great time with her. I highly recommend Ursala. TOUR GUIDE RESPONSE: Dear Donna! Thank you so much, I am glad you have enjoyed the tour. Greetings from Vienna! Absolutely wonder guide! We booked Vienna in 6 hrs and she delivered. We saw the highlights and heard much of the history. Would love to come back and spend two days touring. Ursula was a very informative, entertaining, friendly tour guide! She pointed out important historical buildings, and cleared up some fuzzy facts we had about Vienna. She noted some important restaurants that turned out to be very good recommendations. As a former music student in Vienna, Ursula took us to several music related museums and recommended some interesting performance venues. I highly recommend Tours by Locals and Ursula in particular when you are visiting Vienna! Ursula was a marvelous guide and extremely dedicated to customizing the tour to a client's needs. She is knowledgeable, friendly and just a pleasure to spend the day with while learning about and seeing Vienna. The tour guide was very knowledgeable and was great with our son. The tour was well organized and we had a great time. I highly recommend her to anyone that wants to have a positive experience in Vienna. TOUR GUIDE RESPONSE: Hi Justin! Thank you so much for your great review. Best wishes to all of you. Enjoy your stay in Vienna! It was a good tour for someone short on time. Our tour lasted 2 hours. I think part of the issue was that she had another tour she picked up after ours. I think the imperial palace should have been included in the tour. For close to $400 for two hours it's not cheap, but you do have a small personal car. Ursula, is knowledgeable and knows the city well. I would recommend it to schedule two tours so close to each other. TOUR GUIDE RESPONSE: Hello Viraj! Thank you for the five stars rating! I do appreciate it a lot. I am sorry, if you thought that the tour was to short. Actually we have completed the sight seeing tour, just on the way it's mentioned in the description. The tour would last three hours, if there is a need for a transport between the airport and the hotel. Thank you for your understanding. I wish you a great time in Europe! Ursula was wonderful. We had a great time. TOUR GUIDE RESPONSE: Thank you David! All the best and happy new year! Greetings from Vienna! Ursula has a wealth of knowledge about Vienna, and is passionate and dedicated to delivering a top-notch experience for her tour participants. She was willing to work with me very last minute to come up with a suitable itinerary for my group. I can't thank her enough! I highly recommend booking her for your next visit to Vienna. TOUR GUIDE RESPONSE: Dear Christina! Thanks for the great review! I hope you hade a good flight bach home and all the crew was content at the end! I hope to see you soon! Greetings from Vienna! We had a great tour that was informative, friendly and fun. Many thanks! TOUR GUIDE RESPONSE: I am glad, you liked the tour! All the best for all of you! Greetings from Vienna! Ursula was very friendly and enthusiastic about Vienna! I was picked up at the airport then taken to see highlights of the city. It gave me the sense of direction and city size that I needed for my visit. At the end of several hours touring Ursula took me to my hotel. I ended up taking Ursula's public tour the next morning and that added to my sense of comfort in the city and my knowledge of where to go on additional tours. It was all well worth the cost. Thanks for introducing me to Vienna, Ursula! TOUR GUIDE RESPONSE: Thank you for your rating! I really appreciate it and I wish you a great vacation in Europe! Ursula was marvelous. She tailored the tour to our needs. We spent all the time at the Schoenberg and skipped the Hofburg. She took total care of us. She is very knowledgeable and has more pics on her iPad. She is knowledgeable, kink, caring, flexible, and fun. TOUR GUIDE RESPONSE: Hi Jim! Thank you so much for your nice words! i wish you a great time in Vienna and on this long journey through Europe and on the Ocean back to the States! Greetings from Ursula! One of the best tour guides we have ever had. Ursula is knowledgeable, personable and full of enthusiasm for the glories of Austria. She stayed far later than the time allotted because my family was so full of questions she wanted to answer and to make sure we were well launched on another experience of Vienna. Can't recommend her highly enough. TOUR GUIDE RESPONSE: Hi Michael! Thank you so much for your great words. I hope you all have spent a nice afternoon in Schonbrunn. I wish you a beautiful weekend! This is a 5 Star rating. I again can not get that fifth star to work. This guide was excellent and went beyond the time that was expected. Very willing to adjust to our wishes. TOUR GUIDE RESPONSE: Hello Dennis! Thank you so much for the five stars! I wish you a beautiful weekend. Nice greetings! TOUR GUIDE RESPONSE: Thank you so much! All the best for you! Ursula gave us a great tour of Vienna. We had visited here before, so we asked Ursula to take us to some places we had not previously seen. She had a wealth of knowledge about the history of everything we saw. Great tour! TOUR GUIDE RESPONSE: Hello John! Thank you so much for your great review! Greetings from Vienna! I used Ursula today and was very pleased. She was extremely knowledgeable with a very pleasant personality. I highly recommend her. I would give her your highest rating. TOUR GUIDE RESPONSE: Thank you Tobey for the nice feedback. I wish you a good trip today! All the best! What a great tour and doing it by Segway added to the fun. Thank you! TOUR GUIDE RESPONSE: Thank you for the great rewiev, I am glad you enjoyed the tour! Greetings from Vienna! Ursula was very knowledgeable and pleasant to tour with. For our group, I think the highlight was the tour of the Vienna State Opera House - including the backstage areas. Although there were other large groups touring, Ursula was authorized to take our small group of 6 on a private tour, which was very enjoyable. A great tour, with the highlights of Vienna's musical sites! TOUR GUIDE RESPONSE: Dear Barbara! Thanks for the nice feedback, I appreciate your kindness! Nice greetings grom Vienna! Ursula is a fantastic guide and I would highly recommend her if you want to learn everything you can about Vienna. 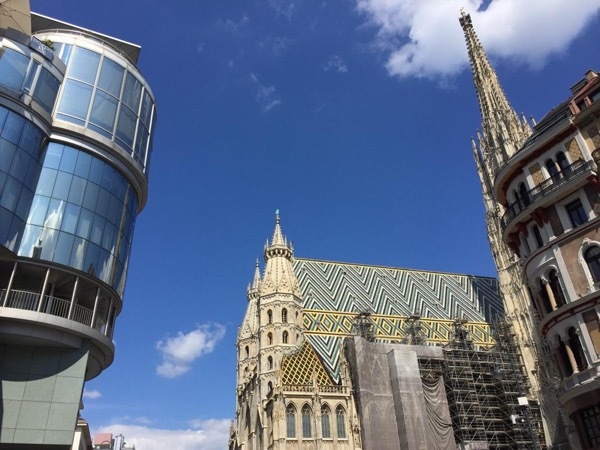 We spent 2 days going through different sites and areas of Vienna on the tour and both the pace and content of the tours were great. We are also able to bypass much of the waiting for some of the opera houses we saw and we got to see most of the musical composer sights in the city, as was our goal. TOUR GUIDE RESPONSE: Hello Adam! I am glad you enjoyed the tour! Thanks for the great review and for the pics! I wish you all the best! Greetings from Vienna! We had a wonderful full day tour with Ursula in Vienna. She introduced us to the many historical sights of Vienna and beautiful city itself. I would recommend others to take a private guided tour with Ursula especially if you are new to Vienna and have limited times. It is the most cost effective to appreciate the city. TOUR GUIDE RESPONSE: Thank you Rose for the nice feedback! Greetings from Vienna! With her in-depth historical knowledge, love of her city, and boundless energy, we visited the Imperial Residences, including the beautiful gardens at the Schoenbrunn Palace, as well the Gustav Klimt Exhibition at The Belvedere. Seeing his original painting, The Kiss, was one of the highlights of our trip. Ursula is a true professional, and we enjoyed every moment with her! TOUR GUIDE RESPONSE: Dear Shari! Thank you so much for the wonderful feedback! I am glad you enjoyed the tours in Vienna. It was also much fun for me to be on tour with you. I wish you a great summer! All the best! Greetings from Vienna! Ursula mixed interesting history with cultural insight and knowledge of the hidden passageways of Vienna. And we found the best coffeehouses! We really enjoyed our tour, and highly recommend Ursula. We arrived in Vienna late in the afternoon from another city. We highly recommend that anyone in this position take the Vienna Overview Car Tour with Ursula. Thanks to her enthusiasm and knowledge, we were able to get oriented while learning about Vienna's history and seeing major sights. Ursula was also extremely helpful before we even arrived in Europe, helping to secure tickets to the Opera House and suggesting other sights to visit. Ursula worked very hard to ensure that we enjoyed every moment of our tour. Everything was easy to navigate because she was well versed in all of the particular sights we wished to see. She answered all of our questions, steered our entire day, took us to a good restaurant for lunch, then gave us accurate instructions for navigating our way back to our ship. I highly recommend her as a tour guide! TOUR GUIDE RESPONSE: Hi Leah! Oh, that's really very kind of you! I have to thank you for your nice message and I am really happy if you had a great time here in Vienna! I am looking forward to see you again in Vienna ;-) Best regards! TOUR GUIDE RESPONSE: I have to thank you for your great review! I am glad you had a good time in Vienna! I wish you all the best! Employing Ursula as our guide enhanced our experience in Vienna. Ursula is so knowledgeable of the music culture, political history and arts that compose beautiful Vienna. We were amazed and impressed how many different aspects of the city Ursula was able to show us in the time we had. She had great rapport with my wife and daughter which made our time go by too quickly. Ursula's assistance provided us with much more to do on our own once we were on our own. Thanks for the lifetime memories, Ursula. Ursula was fantastic! She drove us around the city to showcase historic landmarks and points of interest. We loved the driving tour because we were able to cover the entire city center on a cold day. I would highly recommend taking this tour with Ursula! TOUR GUIDE RESPONSE: Thank you Karina for your great review! Greetings from Vienna! Ursula was very knowledgeable about the history and the sites of Vienna. She was friendly and flexible. Her use of the iPad to show us photos from history and of sites was exceptional. TOUR GUIDE RESPONSE: Thank you very much for your nice feedback! Enjoy your stay in Vienna! Our guide Ursula was great. She took us to city sights we wanted to see and provided historical context. She provided recommendations and information on activities we could do on our free day. TOUR GUIDE RESPONSE: Hallo Maurice! Thank you very much for your feedback! I send you my greetings from Vienna! TOUR GUIDE RESPONSE: Hello Pat! Thank you for your message! I hope you have enjoyed your journey in Europe. I send you also my best wishes! Ursula is a very engaging and knowledgeable tour guide, we enjoyed our time with her and got a thorough orientation of Vienna as first timers. I would definitely recommend her to my friends and family visiting. Very nice bike tour. We saw a lot. Nice guide. Ursula was vibrant, knowledgeable, and interactive. She was very effective at navigating through the other tourists and tailored this tour to our time and pick-up and drop-off locations. Very positive and fun experience. TOUR GUIDE RESPONSE: Thanks a lot and greetings to all of you! TOUR GUIDE RESPONSE: Thank you Fran! Greeting from Vienna! What a delightful tour we had with Ursula. She is very knowledgeable, was very flexible in adjusting to our requests and dealt very well with one of our group who was having mobility issues. We will definitely book her again on our next visit. TOUR GUIDE RESPONSE: Dear Kevin, thank you for the great rating! I wish for all of you a wonderful time on your vacation! All the best and nicest greetings to all of you! TOUR GUIDE RESPONSE: Thank you so much! I wish you a great time in Vienna and enjoy your anniversary ! Best regards! Very nice guide' easy to understand. Took us to the places I had selected. Would use her again. TOUR GUIDE RESPONSE: Thank you for the nice review! Greetings from Vienna! TOUR GUIDE RESPONSE: Thank you Lyndel! It was also fun and a great day with you! Greetings from Vienna! Ursula presented us with several options including a number of which went beyond the scope of the music tou. She was knowledgeable, well sspoken and friendly. We would ddefinitely recommend her. TOUR GUIDE RESPONSE: Thank you very much Barbara! Have a great time in Europe! All the best! Ursula was very personable, enthusiastically sharing her knowledge and passion for Vienna. She is also very pragmatic and helped us see the Hundertwasser House by going through the Village -- to avoid the pouring rain. Finally, we appreciated her flexibility when we asked to go to disparate areas of town. TOUR GUIDE RESPONSE: Mercy Alexandra! Have a nice time in Vienna! TOUR GUIDE RESPONSE: Thank you so much for the great rating! Ursula was wonderful! She helped us make the most of our day in Vienna (even though we were only with her for a morning tour). She helped orient us, and find a good place to enjoy lunch on our own after her tour. We really enjoyed visiting Vienna with her. She did something which we thought was impossible: she made us love Vienna even more! TOUR GUIDE RESPONSE: Thank you Philippe!! I wish you a nice tour in Europe! We thoroughly enjoyed our time with Ursula today! She did a fabulous job engaging all of my children from 7-19 years and myself! She took us throughout Vienna, to see homes and statues of famous composers, historical spots in Vienna, and guiding us through the history of Austria along the way. TOUR GUIDE RESPONSE: Thank you so much Krista! You have fantastic kids, you can be really proud on all of them! We had a wonderful tour with Ursula. She provided beautiful insight into Vienna history and architecture. Wonderful tour! TOUR GUIDE RESPONSE: Thank you so much, Drew! Greetings from Vienna! Ursula is very knowledgeable and went out of her way to customize the tour to our needs and request. 5 star. very informative guide. TOUR GUIDE RESPONSE: THANKS Monica! Best regards! Ursula was an awesome tour guide. She arrived on time and had her car ready to go. We were so glad she drove - she was really good at it, allowing us to relax and enjoy the busy streets. On the way to our first stop she took extra time and stopped at several local spots for quick items of interest. At each stop she took care of everything! She is very knowledgable and tells great stories. My family loved her and wish we could tour with her again. TOUR GUIDE RESPONSE: Thank you Jeff! I hope you have had a great time in Vienna and you will return back to Europe soon again! Best regards! Ursula was a perfect guide for a city like Vienna. She is very knowledgeable and took us to every single landmark in this beautiful city, She explained everything in detail and her English is very good. We highly recommend Ursula. Ursula was a great guide; very knowledgeable and accommodating. I'd recommend this tour to anyone as you'll learn a lot! Ursula was absolutely fantastic. Her knowledge, excitement, and vigor was outstanding and I would recommend her wholeheartedly to ANYONE wanting to learn and see and have true fun! Thanks to her we feel less like tourists and more like family. TOUR GUIDE RESPONSE: Mille grazie a Te!!! We have Ursula for two separate tours, this one and a customized tour of Klimt. We found her to be passionate about music and art which makes her an ideal guide for us in Vienna. She provided a lot insights. Highly recommended. Very knowledgeable. Ursula is passionate about music and art. She gave us much insights into Klimt. Highly recommended. Ursula is very knowledgeable of.Vienna and her I pad pictures were great. She.is a great guide and we would use her again. Ursula's knowledge of the city, the history and the architecture of the areas we visited was impressive. We appreciated that the vehicle Ursula had was roomy and we could all have a window view! She was excellent and extremely well informed. We loved Vienna. Ursula has a true passion for Vienna. It was a pleasure to work with her. We had a group of mixed ages and in the end it turned out that the seniors (ages 85 and 94) and kids (28,29) decided not to join my husband and myself. Ursala was very knowledgeable about her city and gave us a great tour. I highly recommend her. Ursula was particularly helpful, as she adjusted the tour date when we had a sudden conflict. She also timed and planned things so we could be comfortable, and see as much as possible, on a very hot day. The Schonbrunn tour with her was easy and very worthwhile....I would not have wanted to do it on our own, dealing with the long lines of the regular tourists. Very informed and efficient - charming, as well. We felt we got a toatl overview of Vienna's high points, history, architecture, and politics. We had an excellent time with Ursula. She is abvery knowledgeable guide. She took fanatsic care to make sure we were well taken care of given we were travelling with kids and went out of her way to make sure they were well taken care off like car seats, recommendations for site seeing. She is a very warm hearted person and goes all out to make u feel more than welcome in Austria. Loved the tour and the pace at which she gave us the flexibility to stop and leisure around. Thanks for the gift of the fan. Ursula was fabulous. She is extremely knowledgable, very personal, and was fun to our group of four. Would highly recommend. Great tour of Vienna with view from the woods and a great tour of' Schonbronunn even though it was very crowded. Ursula is a wonderful guide, we had a great time and learned alot from her. We highly recommend her. Thank you Ursula. Excellent guide, excellent English. The day was fun, fast paced (at my request), and enjoyable! We enjoyed Ursula and her custom tour of Vienna. She is knowledgeable and friendly. Ursula was very accommodating, crafting our tour to meet our interests. She also went out of her way to help us get tickets for other tours. She is very pleasant and knowledgeable. I highly recommend her. The tour with Ursula was awesome, and we covered a lot of ground in a short time. She also accommodated a requested addendum that extended our tour, and provided us transportation so we were able to see the Lipizzaner horses at their training session in addition to the Vienna tour. All in all a great day. Ursula was very personable and pleasant and we had a good time with her. She also gave us some good restaurant recommendations which we utilized. We rate Ursula 5 stars. Very informative. English was good. Saw highlights of vienna in a short time. Very enthusiastic. Highly recommend her to others. Ursula met us at hotel, helped us with Subway, train and trams to Palace sights. She is very knowledgeable about history. We had no difficulty understanding her English. She was flexible with stops for breaks, but kept us on a schedule to see what we asked for in tour. She saved us time and headache by knowing just where to go for tickets and transportation. She is a lovely lady.